I’d be very happy to work closely on this one with you, as you are very responsive!!. I am going to continue work the automation process, which involves solving the email problem (which I think I have found a solution for : google search “gmail2go” an email server which apparently works specifically with MT4!) and also mobile updates. I was today to research the easiest way to backtest it, which I still plan to test myself. But would it also be possible to see your results and also info as to how you set this up and with what platform?? I am also interested if you could ellobaorate on your comments on also using fib and trendlines. WHat are you specific rules in this respect. And how successfull have they been together. I was thinking of using autochartist aswell, to indicate chart pattern reversals etc with this indicator to see how the results go. First, you have to download the folder and unzip it. When that is done, you copy the contents to your computer-drive.c-indicators and paste it there. You re-start your MT4 platform and check the indicators list, custom and you will find the cowabunga(latest) and the MACD. Attach on just the 15mins chart only. I combed through the thread and didn’t find the answer, or I may have missed it, sorry if it’s a repeat question. I dl and unzipped and installed it “experts” folder of my FXCM MT4. However, I got this message “cowabaga is an indicator and cannot be executed” then “expert cowabunga removed”. This happened to anyone? Does anyone have this indicator for FXCM Trading Station? I’m the new one. Trying to get familiar with Cowabunga for a few weeks. I applied the indicator on the 15min GBPUSD chart. Signals are shown as red or blue arrows (but as far as I can see they are not corresponding with the entrys shown in the cowabunga blog). Just set up my email in MT4. Sending test messages works fine. I intend to receive signals via Push-Mailing on my smartphone and start trading with Meta Trader mobile. When I send the test message in MT4 it almost instantaneously pops up on my smartphone. Is there a possibility to get an email EVERY TIME the indicator generates a signal? Just setting up cowabunga (latest) indicator, in the input settings what effect is Strict_4H_Trend = false , I have searched through the thread but maybe missed it, does it mean = true, you only get signals in the direction of the 4h trend? Also do you only display cowabunga (latest) indicator on the 15m chart not the 4h chart? I am new to trading, started two weeks ago on demo with alpari. This cowabunga, has/is anyone having success with it? I have downloaded it ready to unzip from here a few posts back, is this all I need. I hear everybody talking about MT4 but I’m totally a dummy to it. I don’t know anything at all about it, all I can do is dowload the broker platform. I have a strategy similar to the cowabunga system but most times the trend changes when I’m sleeping… Does anyone know where I can start? I want a system that will trigger a trade when the trend changes but have a constant number of pips for stop loss and take profit. How do I start? Where to go? Thanks to the creator of the indicator. It works greats but I have it on two pairs at the same time EJ and GU and I only get signals from EJ not GU is this ment for just one pair at a time? Could anyone tell me how to get the Indicator onto my MT4 platform? If you take the time to read some of this thread you will see that this question has been asked about 20 or so times… Thus clogging up the thread. extract the zip, then drag the .mq4 file into the experts/indicators folder of your mt4 directory. Probably in your program files directory if your running windows. I have been reading this thread and wanted to setup the indicator on my trading platform. 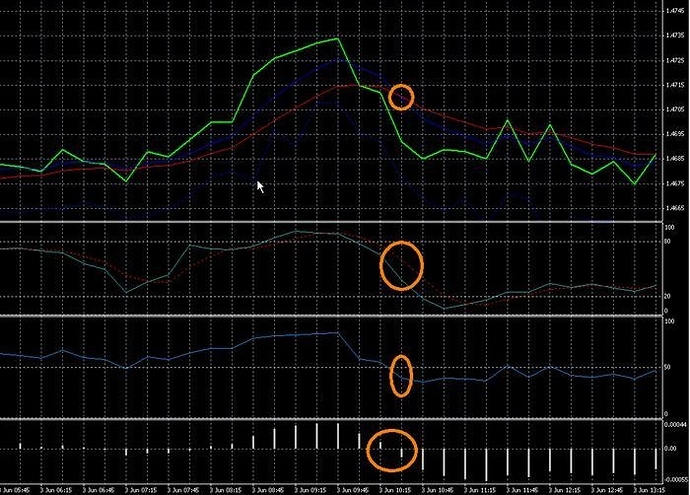 Can anyone confirm if the indicator works using Windsor Direct 4 platform, it is based on MetaTrader and I copied both files (Cowabunga.mq4 and Cowabunga.ex4) into the C:\Program Files\WindsorDirect 4\experts\indicators folder but when I attempt to edit the indicator under Expert Advisors after re-starting the application, nothing happens i.e. it doesn’t load. Any traders here using Windsor Direct 4 platform? I too have been having trouble with this, but I’ve noticed something in these early (4 AM) hours. If you get a buy signal, you’re supposed to wait until the end of the candle before entering the trade. If you leave yourself on the 15 minute chart, the chart will never refresh to erase the buy / sell signal if the indicator goes away. When you get the next candle (or right before), switch to the 4H chart and then back to the 15M chart just to make sure your indicator is still there. Good luck. Is the indicator restricted in time? I.e. is it following the time frame given by BP? I will demo trade this system next week. I have a question, this system works only in trending markets? or also can be used in ranging markets? I have gone through many pages of this thread. Is there an indicator which marks the 00 and 50 levels on the charts for MT4.